Mount Tecumseh, 4000 Footers Hiking List – On the same day that I publicized my Owl’s Head, Conserving Wilderness article, the Appalachian Mountain Club (AMC) posted an article about some of the mountains on the White Mountain 4000 footers hiking list may not be over 4,000 feet. Being over 4,000 feet is one of the criteria for a mountain to be on the list. While our articles focus on different mountains on the hiking list, they both suggest that the time is coming for the AMC 4000 footer club to reevaluate the hiking list. Lidar, a laser based technology, is currently being used to remap the White Mountains. This technology is very accurate at determining mountain elevations. And it was made public that the Lidar data is indicating that at least one mountain, Mount Tecumseh, is under the 4,000 foot criteria. According to the data Tecumseh is 3,995 feet, not 4,003 feet. Will the Lidar data reveal that Mount Isolation (4,004 feet) and Mount Waumbek (4,006 feet) are also below the 4,000 foot criteria? 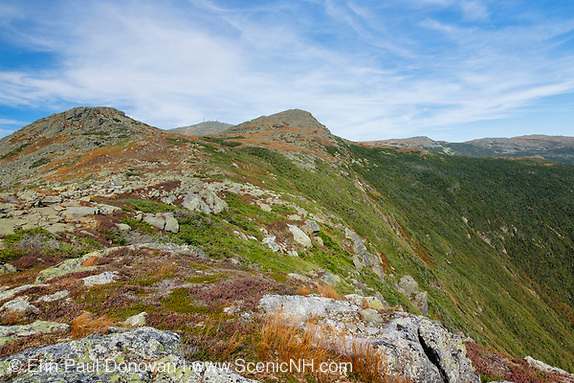 Owl’s Head, Conserving Wilderness – This remote 4025-foot mountain in the western region of the federally designated Pemigewasset Wilderness creates much debate. The controversy isn’t really about Owl’s Head its more about wilderness management. Hikers unhappy with the management of the Pemigewasset Wilderness use Owl’s Head as a stepping stone to criticize the Wilderness Act. 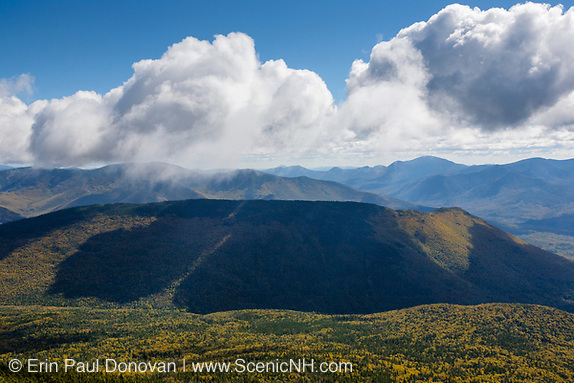 Established in 1984 under the New Hampshire Wilderness Act, the 45,000-acre Pemigewasset Wilderness is managed under the National Wilderness Preservation System and the Wilderness Act. Considered to be one of the greatest conservation laws ever passed, the Wilderness Act has protected over 109 million acres across the United States. And yet some are against the Wilderness Act. 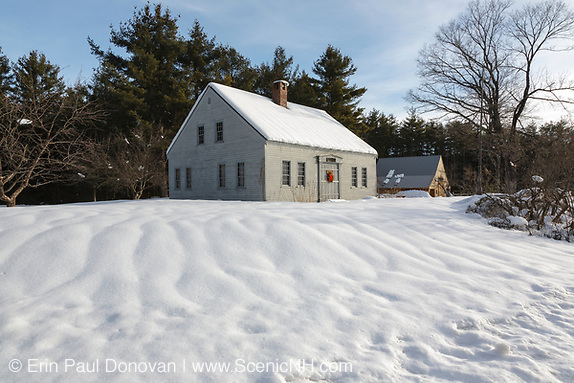 2019 White Mountains Wall Calendar Season – As the month of September comes to an end its time to start thinking about buying a new 2019 wall calendar. 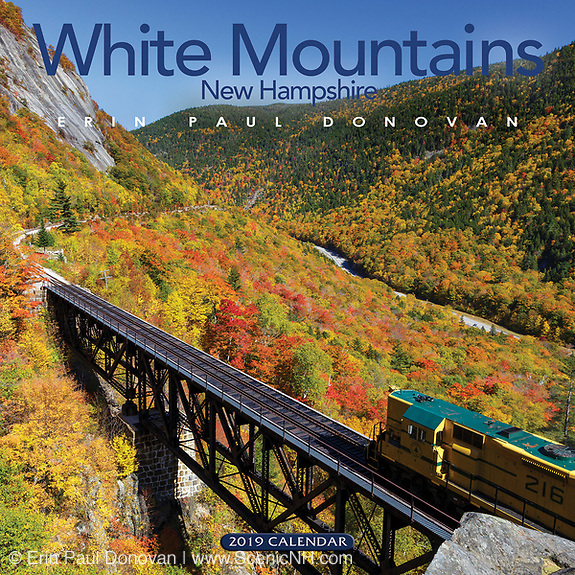 And today, I want to share with you my New Hampshire White Mountains wall calendar, which showcases the majestic White Mountains region. This 12-month wall calendar is professional designed and printed. It measures 12” x 12" closed, and 12” x 24” when opened. The calendar also has a date grid for noting appointments, and includes holidays of major religions, phases of the moon, and sunrise and sunset times. On the front cover (above) is Conway Scenic Railroad’s “Notch Train” crossing the historic Willey Brook Trestle along the old Maine Central Railroad in Crawford Notch. 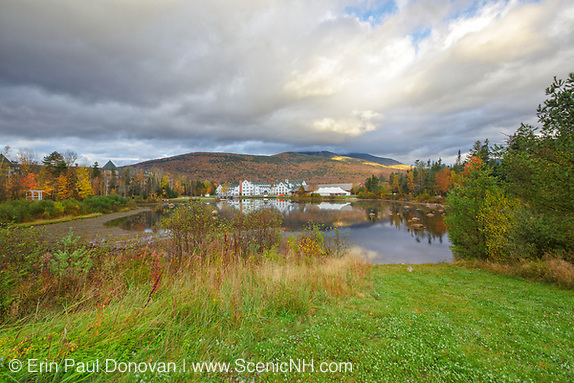 Crawford Notch is incredibly beautiful during the autumn foliage season. 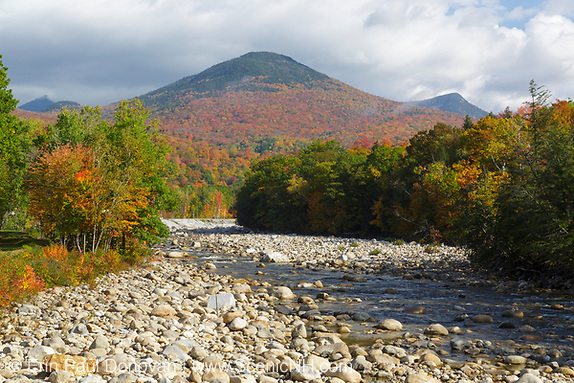 This scene of Crawford Notch also represents the month of October.